Want your emails looks professional? Create a pro-looking email signature! Finally use HTML editor to create beautiful and clean email signatures that make you look like a real Pro. 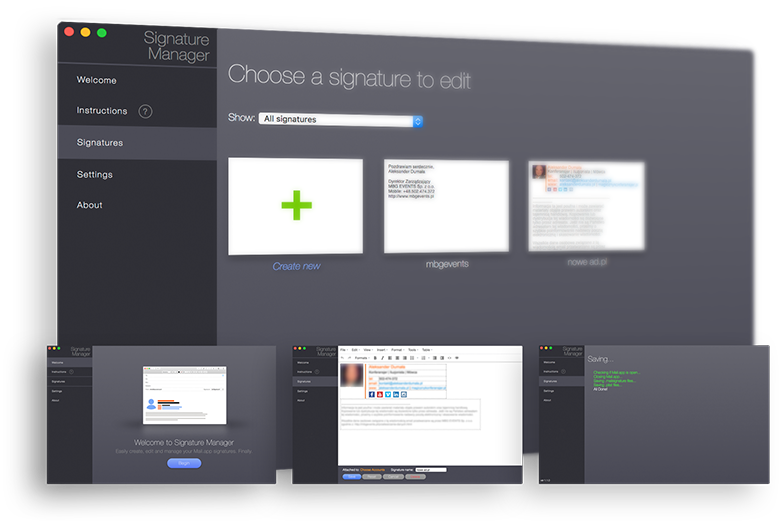 Easily edit, create and delete email signatures used in Mail.app for Mac OS X. This software is 100% free to use. If you find it useful, please donate.